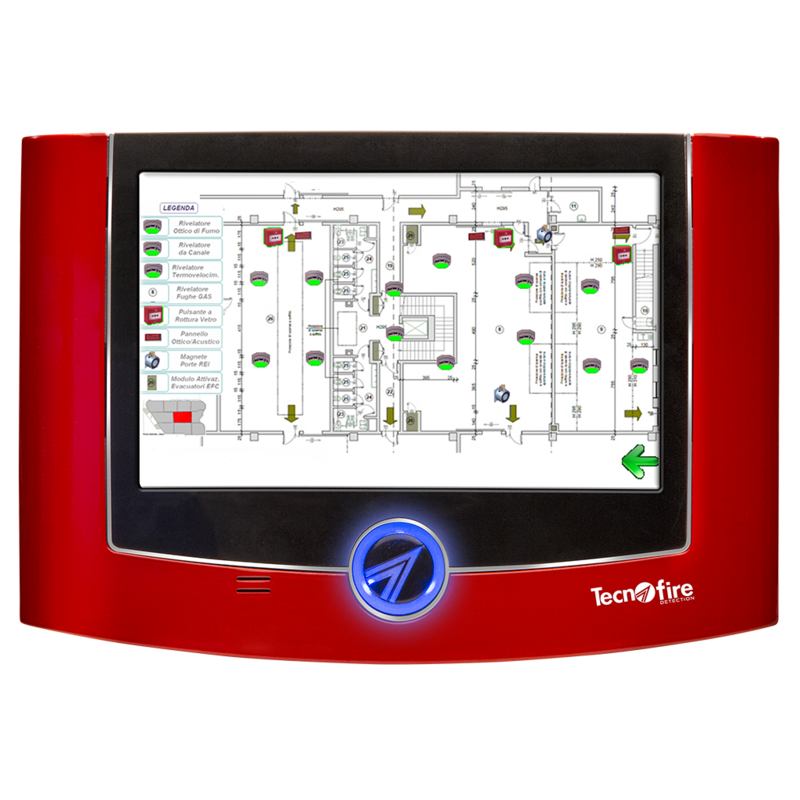 TF2TFT7S-UK Repeater panel with floor plan management It provides the same features as the TFT-7 repeater panel and in addition the interactive management of floor plans. The repeater panel manages up to 32 floor plans, which are viewed according to different operating modes. On each floor plan, it is possible to position a total of 32 icons, which are associated to the devices of the system or function as navigation soft keys. In case of alarm, the floor plan which identifies the place of origin of the alarm is automatically viewed.